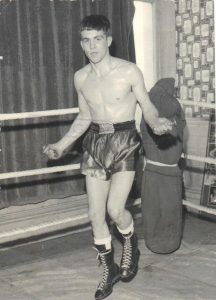 Light-welterweight who boxed out of Dagenham in the sixties. If there was ever a boxer as bashful about his ring achievements as Stan Kennedy, he would indeed be a hard man to find. On a personal level, Stan is such an affable man with a quietly confident demeanour and a ready smile. So, once we had the voice-recorder going and we embarked upon this interview, his candid viewpoint of his own shortcomings as a fighter took me by surprise – a classic example of just how complicated boxers can be. 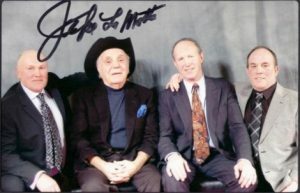 Stan Kennedy (right) with his pals and fellow ex-boxers, Brian Hudson and Georgie Day, with the late, great Jake LaMotta.